Airlie Beach is the primary civilisation in the Whitsunday Islands of Queensland, Australia. It attracts many visitors- sailors who cruise the beautiful islands and beaches, divers who want to see the wonders of the Great Barrier Reef, and anyone looking for an amazing holiday. The town has many shops selling crafts, souvenirs and clothes, and restaurants and bars galore. The lagoon along the shore is man-made, and is great for sheltered swimming. From Airlie Beach You can charter yachts or take day trips out to Hamilton Island and Daydream Island, or go snorkelling and diving on the Reef. Although a small town in most senses of the word, Airlie Beach bustles with visitors year-round who flock here to visit and explore the many beautiful islands of the Whitsundays. It is a great hub from which you can strike out and do exactly that: make the most of your time in port and take in as much as possible of this gorgeous tropical playground. There is something to appeal to any cruiser in Airlie Beach and surrounds. Activities range from the physical, such as sailing or kayaking, to the leisurely, such as lying on a white-sand beach and sunbathing to your heart's content. If your next cruise has Airlie Beach as part of the itinerary, plan on a great day. Due to the large size of most ships and the small size of Airlie Beach township, it is strictly a tender port. Vessels come in carefully through the Great Barrier Reef and moor offshore. Passengers are ferried ashore to Abel Point Marina - although some smaller ships unload their passengers at Hamilton island instead. Australian Dollars (AUD) are the legal tender used throughout Australia, and Airlie Beach is of course no exception. If you haven't yet picked up any of the local moolah, you can find a currency exchange outlet in nearby Shute Harbour and a number of banks and ATMS around the township. Credit cards will be accepted in most eateries and shops, but it's a good idea to have cash on hand too. The laid-back Aussie atmosphere only intensifies this far north in sunny Queensland. Cruisers can expect to encounter friendly locals, mixed with relaxed tourists. English is the primary language and all signs and service will be in English. Most locals and tourists dress very casually and comfortably, with clothes suited to the hot weather. The Whitsundays were originally inhabited by the Ngaro people, an aboriginal people who lived on the islands and adjacent mainland, so there is a rich history and heritage there which visitors can experience. Airlie Beach has a gorgeous public lagoon on the waterfront between Main Street and Airlie Bay, a gathering place for all comers and a great place to swim with no worries about jellyfish and other dangers of the ocean. There are many grassy places to picnic and BBQ facilities too. Enjoy the rest of the bustling town with a stroll around Main Street and the surrounding shopping and dining areas. There is a permanent holiday feel in the air, and many places to grab a meal, a beer, a coffee or whatever else strikes your fancy. The 3.7 kilometre-long Bicentennial Walkway from the lagoon to the parklands at Cannonvale Beach is a great way to pass an hour or two, with stunning views. If you happen to be in Airlie on a Saturday, you should definitely visit the markets. These are held year-round on the foreshore Esplanade, and are great for gifts, especially those tropical-themed, and a variety of inexpensive tasty treats. A fantastic way to spend a lazy morning in the town! Much of the action in Airlie Beach happens on the water. Getting onboard any kind of vessel and casting off from land will give you a wonderful perspective on this beautiful island-strewn destination, be it a ship-organised tour or a more casual arrangement. Boat-based activities on offer include sailing, reef day cruises, island cruises, speedboat rides, waterskiing, jetskiing, scuba and snorkelling and plenty more. If you're keen to leave the sea behind, there are plenty of opportunities to explore some more of Australia's wonderful wilderness on foot near Airlie Beach. Conway National Park lies to the southeast, with a range of tracks for all ages and abilities. Cedar Creek Falls, between Airlie Beach and Proserpine, is another great place to stretch the legs, a short stroll from the parking area off Saltwater Creek Road. The eternal dilemma for keen cruisers is always whether it's a better idea to make their own plans onshore or sign up for a tour put on by their cruise line. While forging your own adventures or seeking an independent tour company can be rewarding and perhaps cheaper too, a line-organised excursion comes with the assurance that the ship will wait until you get back before departing - and they are well-versed in what cruisers like to do onshore. 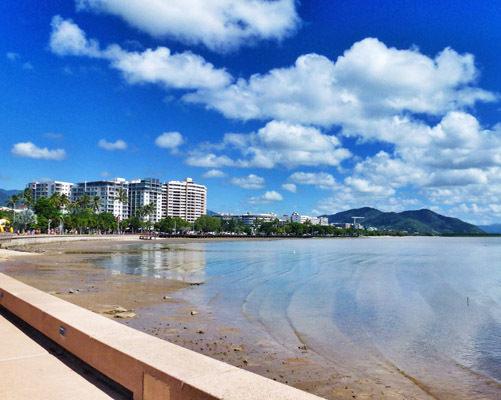 In Airlie Beach, there is plenty to do if you are staying around town - and activities of a short duration such as a blat on a jetski or sailboat rental are easily undertaken by yourself. 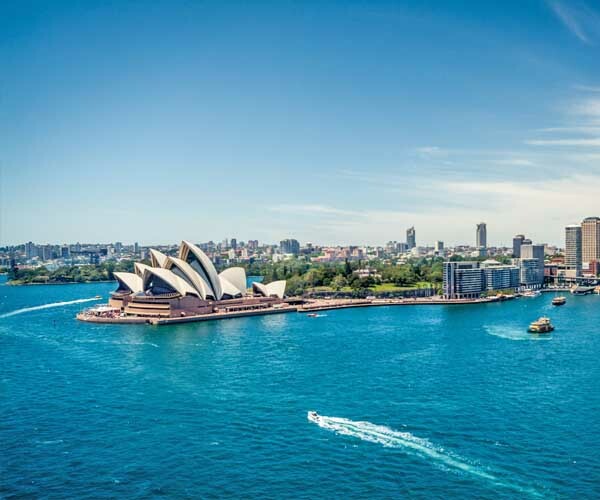 However for longer undertakings such as an island cruise or trip to the Great Barrier Reef, it might be a good idea to go with the cruise line-sanctioned operator due to time constraints. An excursion out to the amazing Great Barrier Reef is top of the list for many visitors to Airlie Beach, and your cruise line will almost certainly offer this as an option - along with a huge number of onshore tour operators. A smaller vessel will take you from the town out to see the reef, many offering snorkelling so people can get up close and personal with the amazing underwater scenes. Some also have semi-submersibles to see the wonders without getting wet. Sand holds more appeal for some cruisers than coral - and they can enjoy lots of it in the Whitsundays! From trips to Whitehaven Beach by boat or helicopter to day visits to a luxury island resort, there are many ways cruise callers can just soak up the sun and enjoy the tropical delights of the region. Harnessing the power of the wind to be blown around the gorgeous islands is a fantastic way to spend your day in Airlie Beach and the Whitsundays. The majority of lines will offer sailing adventures, and some will also have sea kayaking and motor rafting trips available. Visitors can also independently rent small vessels and jet skis at Airlie Beach. The natural beauty, beaches and ocean delights of the Whitsundays take precedent for many cruise passengers in Airlie Beach, and it's little wonder why. However there are alternative options, and they are good ones! 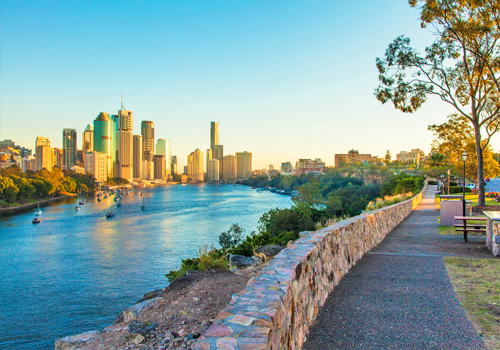 Curious travellers could opt for a Crocodile Safari on the Proserpine River, a segway tour of Airlie Beach town itself, a walking tour of Hamilton Island, or a visit to the Proserpine Museum and Gold Coffee Plantation, depending on what your cruise line offers. So, if you're cruising to Airlie Beach, you can look forward to many different things to do, see and experience onshore and off. 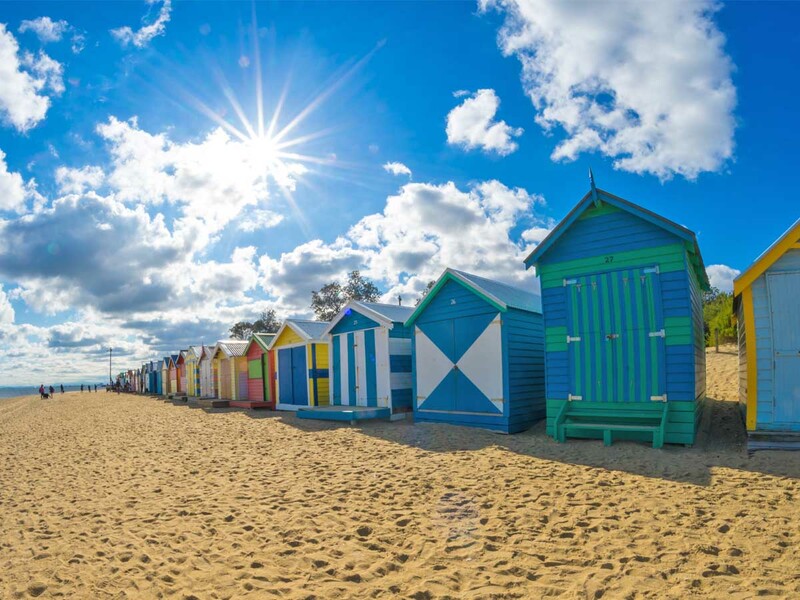 Make the most of your time in this wonderful part of Australia! The Great Barrier Reef is breathtaking to experience from all angles, but it’s when you soar above it in an Air Whitsunday seaplane that you really begin to grasp the wonders below. Providing exceptional tours for over 40 years, the team at Air Whitsunday are committed to ensuring your experience of both the Great Barrier Reef and the Whitsunday Islands are everything you expected them to be, and more. As well as taking you on a sky-bound journey, enjoy sinking your toes into the white-sand beaches, diving with the fish on a snorkelling expedition, and visiting some of the paradise-like bays. The terminal for taking off is located at Whitsunday Airport, just an 8-minute drive from the Airlie Beach cruise port. The Fish D'vine & The Rum Bar is an Airlie Beach staple for the locals, and a real favourite for visitors disembarking their incredible cruises. Two rather different entities under one roof, Fish D’vine and the Rum Bar come together to create a stunning combination of flavours. Enjoy the chilli mud crab or tiger prawns while sipping a Mojito or sampling one of the 450 incredible rums on offer. Better yet, try the desserts for a delectable treat of fruit and liqueur. If seafood isn’t quite your thing, beef and vegetarian options are also available, and taste just as delicious. Just around the corner from the cruise ports, Fish D'vine & The Rum Bar is the perfect spot to head to for an evening out. After you’ve experienced an Airlie Beach cruise, you must see the region in a brand new way with OzSail. 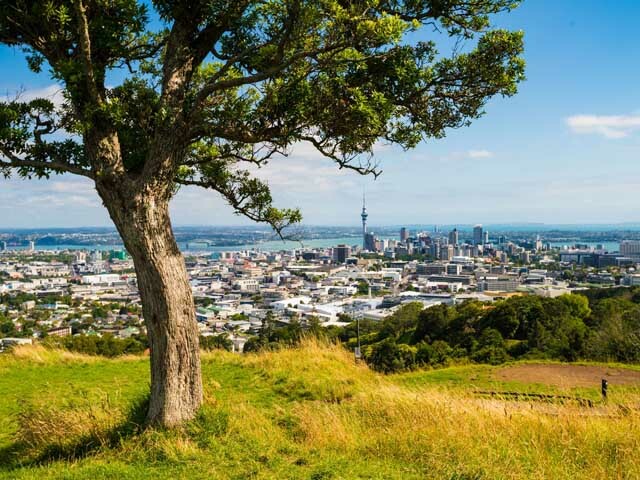 The company has been providing high-quality tours for Australians and tourists alike for more than two decades. Snorkel the Great Barrier Reef and admire the stunning array of coral and creatures who call it home, or sink your toes in the sandy shores of Airlie Beach. Stunning Australian coastline awaits you as you sail over the crystal clear waters of the Whitsundays on one of OzSails three sailboats. These two-day and two-night tours allow you to truly explore every inch of the islands, and do it in style. Soak up the sun, spot the rays and sail the stunning Coral Sea on an OzSail tour. Matador Whitsundays is made up of a team of passionate sailors who love nothing more than sharing their passion for Australia’s Whitsunday Islands with locals and visitors. When you book a tour with Matador Whitsundays, you can expect nothing less than excellence. High-quality tours at exceptional prices are in store, and these two-day, one-night tours will have you exploring the Great Barrier Reef Marine Park in a unique and unforgettable way. Snorkel through the coral with the colourful creatures who call it home, bask on white-sand beaches, and even learn to sail the ship. Don’t let your Airlie Beach cruise experience end - book a tour with Matador Whitsundays and keep the adventure going. Tropical terraced gardens surround Whitsunday Moorings Bed & Breakfast, making this Airlie Beach Bb&B both idyllic and tranquil. 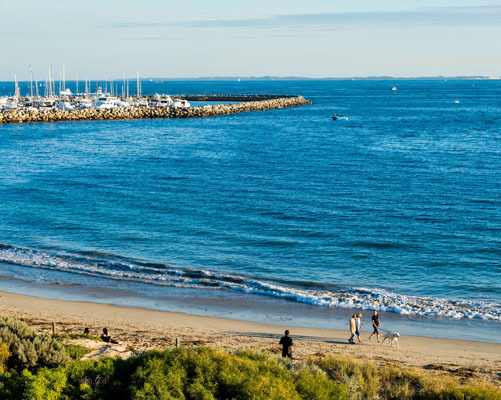 All rooms have spectacular views over the marina and Pioneer Bay, and guests will enjoy a gourmet breakfast in the morning, complimentary tea and coffee, free WiFi, and fluffy bathrobes. In prime position to explore the stunning Whitsunday Islands, Whitsunday Moorings Bed & Breakfast is the perfect place to return when your Airlie Beach cruise comes to an end. Just been on one of our fantastic Airlie Beach cruises but don’t want your holiday to end just yet? Look no further than Toscana Village Resort. Italy’s Tuscany was highly influential to the creation of the resort, with beautiful, light, modern, self-catered suites making up the resort’s stunning accommodation. Tucked in amongst gardens with panoramic views over the Coral Sea, Toscana makes a great first impression - and then keeps on delivering. Enjoy free WiFi, four swimming pools, and a BBQ area as you lounge around and settle into ultimate relaxation. One bedroom to three bedroom suites are available or treat yourself to the penthouse apartment.